June 15, 2016 – NASA researchers and drone industry representatives foresee a day when small unmanned aircraft systems (UAS) have all sorts of uses in everyday life, including wildfire spotting, precision agriculture, wildlife monitoring, and small package delivery — just to name a few. But a lot of work needs to be done before that can happen. That’s where NASA’s small UAS Traffic Management (UTM) project, led by NASA’s Ames Research Center in California’s Silicon Valley, comes in. NASA engineers are working to help develop concepts, technologies, and procedures to overcome the challenges that are keeping drones from being able to be more widely used and accepted. One of those challenges has to do with how far small UAS are currently allowed to travel. Regulations say they can only operate where pilots can see them — formally known as visual line of sight. Another challenge is to allow one operator to fly multiple drones. 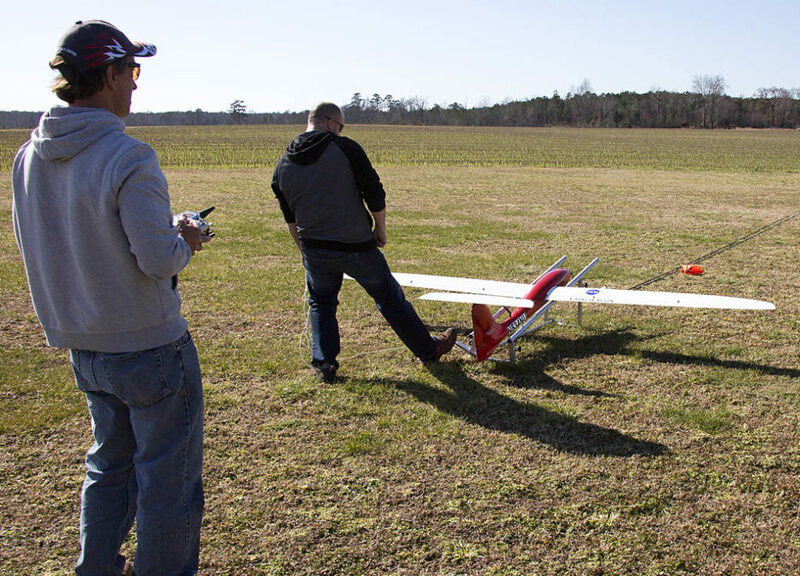 Researchers at NASA’s Langley Research Center in Hampton, Virginia, are using remotely piloted Tempest planes to develop technologies and procedures to allow small drones to fly beyond visual line of sight. The 10-foot wingspan Tempest was designed to carry large loads and operate for long duration, which makes it a good candidate to test technologies, including autopilot and detect-and-avoid systems, for flight outside of a pilot’s view. NASA researchers will also use the Tempests for further UTM research, including validating beyond visual line of sight technologies over sparsely populated areas, and testing autopilot performance and how the planes react in adverse conditions. The University of Colorado-Boulder operates one of the most comprehensive UAS research programs in the nation. The university has undertaken projects ranging from monitoring seal populations in the Arctic and charting sea ice changes near Greenland to intercepting storm cells associated with tornadoes in Colorado, Kansas and Nebraska and measuring gaping holes in Antarctic sea ice. CU-Boulder has also teamed up with Black Swift Technologies for the successful flight of a Tempest UAS carrying instruments to measure soil moisture, a project supported by a NASA Small Business Innovation Research Program. UAS Colorado, a statewide consortium of more than 100 industry, research and economic development stakeholders, has worked hard to preserve Colorado’s leading role in the UAS aerospace industry.